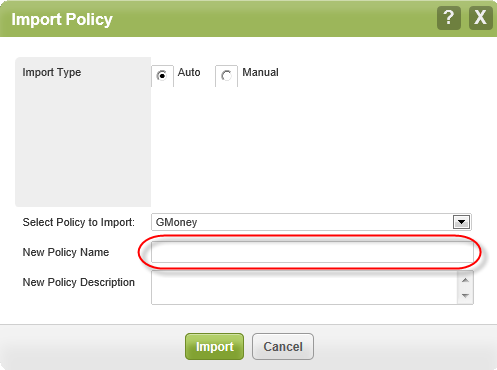 Use this procedure when an administrator wants to import a policy from a site they do not have access to, then only manual import is available. This procedure useful for administrators’ who may have multiple accounts under different email addresses, or who may simply wish to email their transfer code to a friend for them to import into their own site. 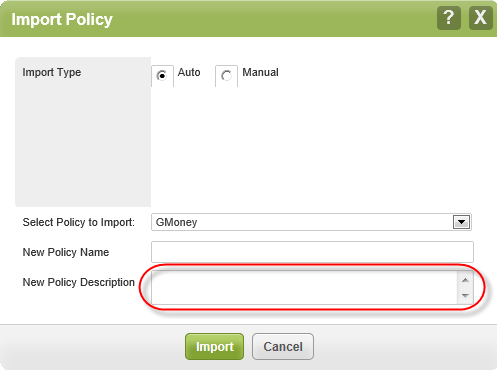 In the Policy area, select the policy you want to import from the list. The system displays the Export Policy window. In the Your Transfer Code field is the transfer code that you need. Copy the transfer code. 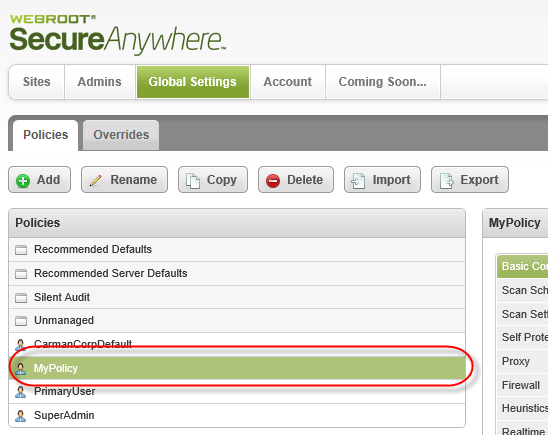 Click the Close button to close the Export Policy window and display the Polices panel. In the Import Type area, select the Manual radio button. 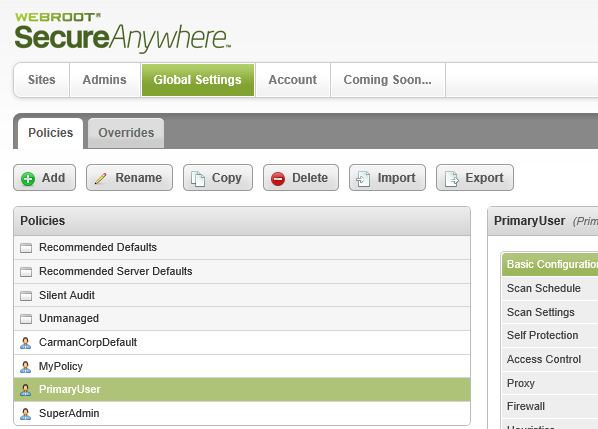 In the In the Transfer Code field, paste the transfer code you copied earlier.